In this month’s blog, we take the opportunity to examine the collective recovery journey of our Alumni. Here we identify supportive mechanisms critical to sustaining recovery and encourage the global community walking their recovery pathway and celebrating their life in recovery to keep these support mechanisms active as they continue to live their best life, free from mood altering substances. Approximately a quarter of a billion people around the world have used drugs and of this 29.5 million people suffered from drug use disorders (UNODC, 2018). Evidence supports the position that Substance Abuse is preventable, addiction is treatable and recovery is possible (Best, 2014) if the approach is multifaceted. At Crossroads Centre Antigua, we support the position that while residential treatment provides a necessary foundation for recovery, aftercare interventions are necessary to sustain long term recovery and must be included in all treatment plans. The Crossroads Aftercare & Recovery Evaluation program (C.A.R.E. ), which started in 2007 monitors and supports clients discharging from the facility over a period of 2 years post discharge. The program encourages clients’ engagement in their aftercare interventions. It further provides ongoing recovery resources, offers referrals or registration in continuing care support programs. C.A.R.E. findings collected from 241 clients enrolled in C.A.R.E discharging between the periods of June 2016 – June 2018 consistently identify three key factors that correlated positively with sustained recovery. These recovery pathways are: Attendance to 12 steps meetings, keeping actively engaged in community/work/school and following their continuing care plan (CCP) developed while in treatment. The Substance Abuse and Mental Health Services Administration (SAMHSA) (2012) has grouped these essential elements supporting a life of recovery into 4 major dimensions: Health; Home, Purpose and Community. Here we look at the outcome data of each pathway. The majority of C.A.R.E. 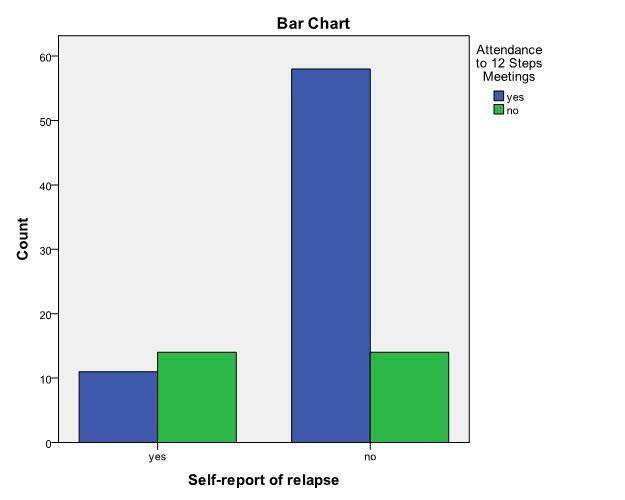 clients reporting that they have not relapsed also reported consistent attendance to 12 steps meetings (fig. 1). The majority of these recovery clients sited the essential need to attend 12-step meetings at least once a week, every week as it is a unique source of support. 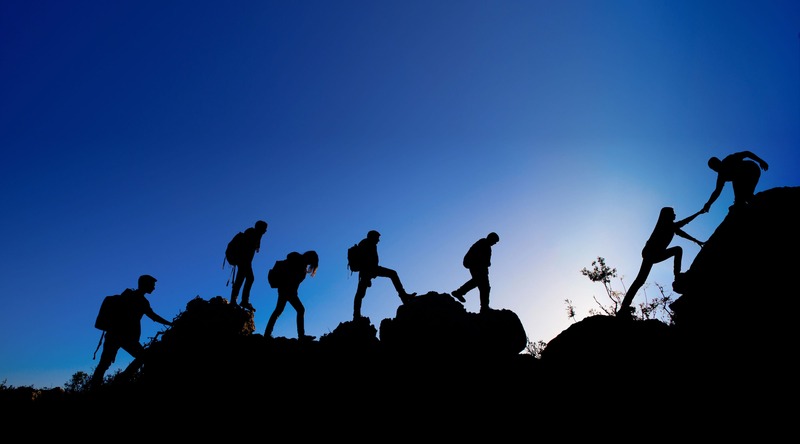 Research over the years has documented support as an established strength in the 12-step fellowship, which is cited by clients as significant in their recovery. The fellowship further provides an understanding acceptance from peers not found in other support avenues (Daley & Douaihy, 2015). The absence of costing also makes this recovery pathway accessible by all. Figure 1 displays the outcome of 97 clients at their 6 months interval. Those reporting that they have not relapsed also reported the highest level of attendance to 12 steps meetings. C.A.R.E. clients that reported active engagement in community, whether through work, volunteerism or education also reported lower rates of relapse. 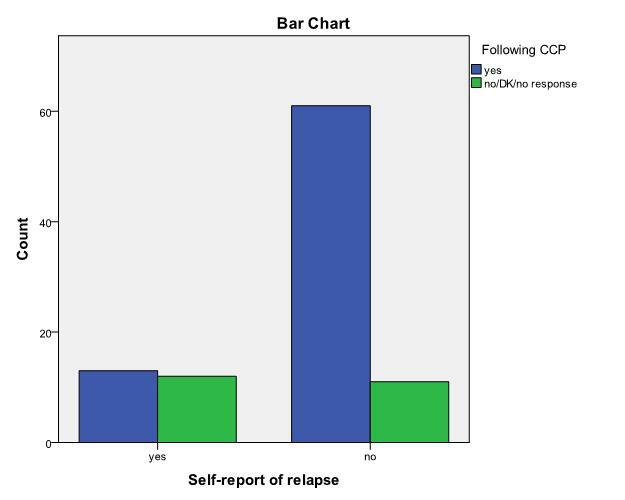 These active involvements regain a person’s social connection, self-respect and provide a tangible loss if relapse occurs. Hence this essential pathway gives people in recovery a sense of purpose and connection to community, thus becoming significant motivators to strengthen their commitment. Treatment programs should foster community engagement in the recovery process. This is also significant for clients that have retired or are unemployed. 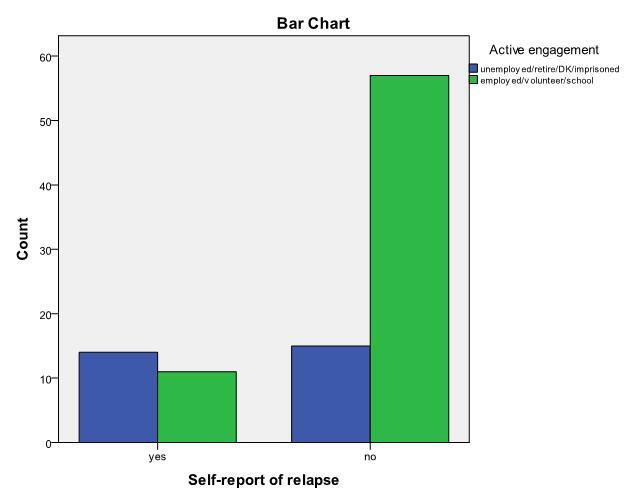 Alumni reporting relapse also reported higher levels of non-engagement in community (Fig. 2). The sheltered environment of residential treatment fosters some dependency in clients, thus guidance on reintegration, support and maintenance of recovery is the platform of all aftercare plans. The continuing care plans that clients leave Crossroad Centre Antigua with are individualized to fit their lifestyles, schedules and finances. They each consist of recommended actions agreed upon in treatment that would support recovery and clients are enrolled in interventions identified in the CCP prior to their discharge. C.A.R.E. clients reporting higher adherence to their CCP over the evaluation period also reported continued abstinence (Fig. 3). This strongly supports the need for continuing care planning to be inherent in every treatment process. Recovery is a long-term process of change through which an individual achieves abstinence and improves health, wellness and quality of life. It is not one dimensional, focused only on abstaining; rather it is inclusive of holistic well-being and multifaceted as human nature itself. The outcome data from our alumni not only identify recovery pathways consistent with evidence based research, but it determined that support is a common feature in attaining this change of recovery. Support is equally important for both clients reporting relapse and those still in recovery. Recovery is also socially located and embedded in a broader realm of growth and development for individuals, their families and their communities. In essence recovery is a journey taken with others. Understanding recovery and identifying factors that promote or hinder it will require a number of paradigm shifts for many addiction providers; such shifts must include research and service provision that addresses global wellness as a standard of care. Daley, D. C. & Douaihy, A . M. (2015). Relapse Prevention Counseling : Clinical Strategies to Guide Addiction Recovery and Reduce Relapse. PESI Publishing & Media.